Use Poseidon Tech Counter Lungs when you need to add oxygen and diluent air to your loop manually. These lungs can also be used as a larger recreational counter lung. 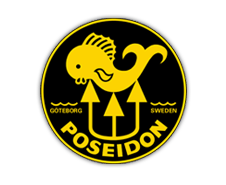 The Poseidon wing and harness system has been made specifically to fit the Poseidon rebreather. However, If you choose a different wing and harness system, the Tech Counter Lungs will be compatible. 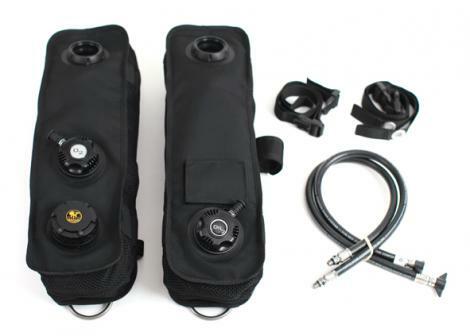 The Tech Counter Lungs can also be used when diving recreationally, by replacing the two injection buttons with blind plugs. This is great for divers who find that normal recreational counter lungs don’t have enough volume. 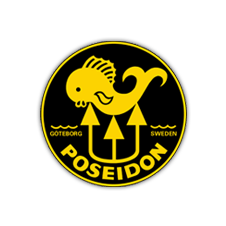 Please Note: When diving a technical version of the Poseidon rebreather, you may need to add oxygen and/or diluent gas manually into the loop. We have two separate intakes for these two gases. The injection for oxygen is on the exhalation lung. The diluent air inflation is on the inhalation lung. Both buttons are clearly marked so you don't fit the hoses in the wrong manner. The Technical Counter Lung capacity is 8.2 liters.